Welcome to MyBinding video. MyBinding has the guaranteed lowest prices on the top quality laminating trimmers. 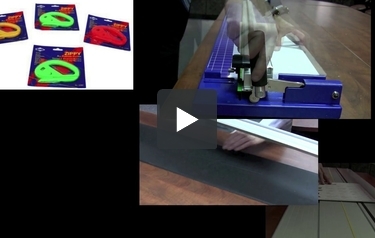 If you’re looking for a cutter or a trimmer to help with your laminating needs, you’re in luck. We carry a number of different laminating trimmers and cutters to fit your needs. Whether you’re looking for a set of Zippy knives or a large format rotary cutter or even a ProTrim free-standing lamination trimmer, we can help you find it. Click around here on our website or give us a call and our knowledgeable staff is ready to help you at any moment. From the simple to the professional, $30 to $30,000, we have it. When image matters, MyBinding.